Spoiler alert. This article contains plot details about Avengers: Infinity War. 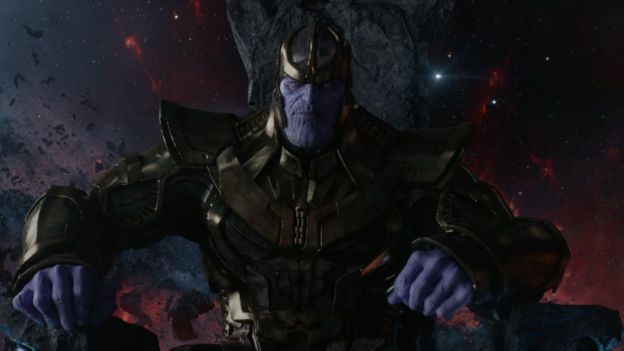 Avengers: Infinity War baddie Thanos has prompted a mass cull of Reddit users. The population of half a subreddit will be wiped from existence in honour of the super villain on 9 July. The forum “/r/thanosdidnothingwrong” – which is dedicated to sharing theories and memes about the character – has more than 282,000 subscribers. Their culling is inspired by the ending of Infinity War, when Thanos clicks his fingers and decimates half the universe’s population. To wield this terrible power, Thanos gathers six Infinity Stones – gems that gave him control over space and time. So it’s fitting that the forum’s moderators have had to craft their own virtual Infinity Gauntlet to mimic the villain online. Reddit engineers have designed a brand new bot that will enable the group to randomly cull users in “a quick and easy manner”. Members had been worried that Reddit would block the move. “It would be the biggest mass ban in Reddit history and we’d probably get into some serious trouble,” wrote one user, Dragonphlegm. But since the subreddit is dedicated to glorifying the Marvel baddie, it seems like a fitting way for fans to show their appreciation. A voting thread on whether the cull should go ahead received more than 150,000 upvotes, prompting members’ to ask Reddit’s official permission. According the member The-Jedi-Apprentice, Reddit administrators have now approved the “random 50% ban”. The date was settled for July 9 to allow engineers enough time to settle back after US Independence Day festivities and be on hand if any technical problems arise. The stunt is being celebrated among its community as the ultimate joke. “Finally balance in the universe,” wrote dwbrab96. “I don’t feel so good,” chimed in Reediamond. But not everyone sees the point in a move that’s meant to “bring balance” to an online population. As news of the imminent ban spreads, the numbers in the subreddit have been swelling. “This sub’s gonna have more subscribers after the ban than it did before this all started,” mitch06_11 pointed out. Next Article Can India become an AI hub for the developing world?